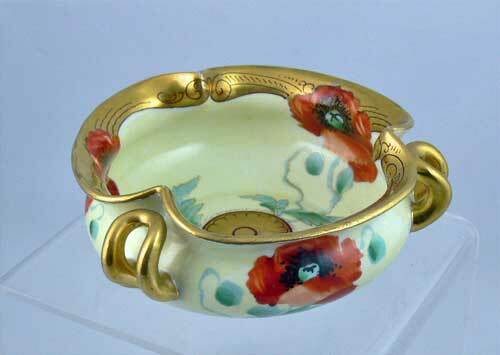 A PICKARD STUDIO ANTIQUE, HAND-PAINTED BOWL IN THE POPPY PATTERN. 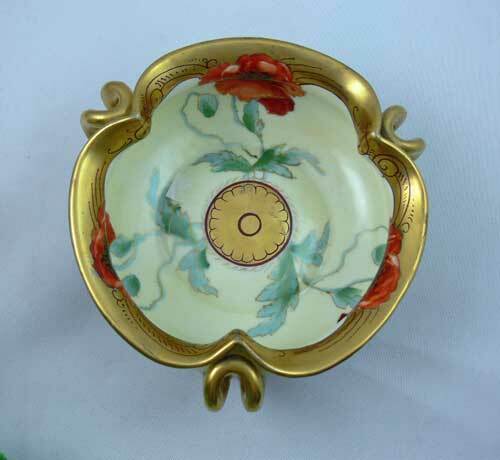 FEATURES A BEAUTIFULLY SCALLOPED GOLD RIM ON A ROUND BODY WITH 3 LOOPED HANDLES. 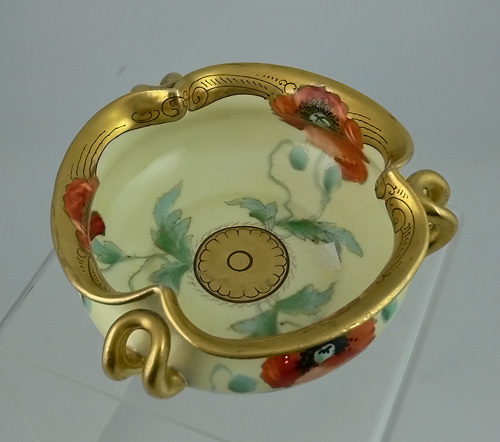 BOTH THE INSIDE AND OUTSIDE FEATURE EXQUISITELY EXECUTED, HAND-PAINTED POPPIES IN A PATTERN CONSISTENT WITH THE ART NOUVEAU PERIOD. 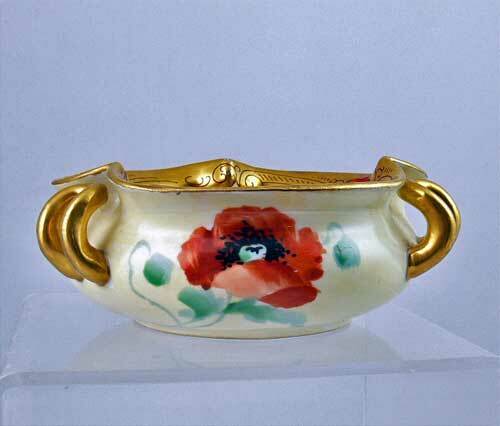 PICKARD PORCELAIN IS CONSIDERED BY MANY TO BE THE FINEST CHINA IN THE WORLD AND PIECES ARE OWNED BY THE QUEEN OF ENGLAND AND THE KING OF SAUDI ARABIA. THEY HAVE ALSO PRODUCED CHINA FOR AIR FORCE ONE AND CAMP DAVID. 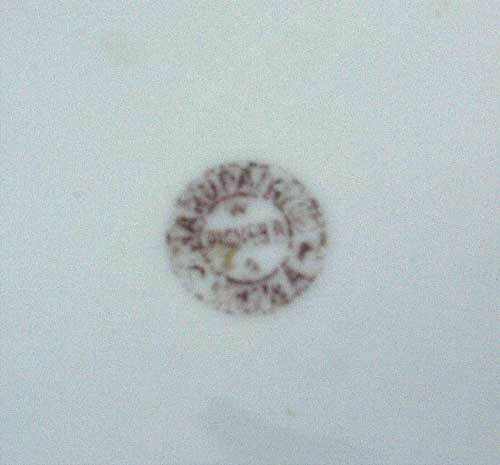 THE UNDERSIDE STAMP DATES THIS PIECE TO THE 1898-1903 PERIOD. THE CONDITION IS VERY GOOD WITH ONLY VERY LIGHT RUBBING ON THE GILDED HIGH POINTS. NO CHIPS, CRACKS OR HAIRLINES. THE BOWL MEASURES APPROX. 5 ½ INCHES ACROSS AND 2 ¼ INCHES AT IT’S HIGHEST POINT. IT IS MARKED WITH THE PICKARD IDENTIFICATION MARK # 2, ( 5/8” DIA. MAROON TO PALE BROWN DECAL).